Our mission, each year, is to donate $10,000 to local & education-based charities. To financially support the community. How do we do that? Well, quite frankly, it’s a team sport. For starters, our Free Books for Charity campaign aims to raise $500 each month through a collective effort of giving away 100 books per month. You can learn more about that initiative on the book page. Second, at Three Pillars Realty, we make a charitable donation in our clients’ name at the close of each successful transaction. 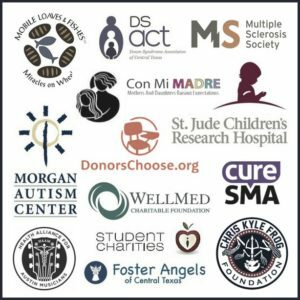 Here’s a look at some of the charities we’ve been privileged to support on our clients’ behalf. Last but certainly not least, a percentage of each company dollar earned is funneled into our “Third Pillar Impact Fund.” On a quarterly basis, the company shareholders collectively vote on where those monies should be deployed in order to make the biggest impact. COMING SOON: People often talk about giving back, making impact, but then their actions do not match their words. If you pay close enough attention, you’ll notice that they always have an excuse. “When I have more time or more money . . .,” they say. But not us! As a community, we are changing the way that Impact is made in the Austin area. We stopped talking about it and we are doing something about it …. Together, as Impact “venture capitalists,” we are investing in the story of our community. 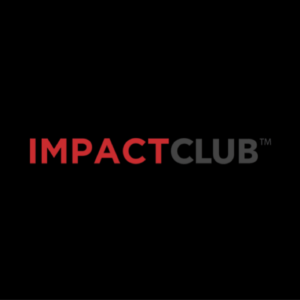 In addition to the $40,000 monetary impact we make each year, the result of one $100 check, per member, per quarter – Impact Club™ is about so much more. Our mission, our purpose is to grow and strengthen the chain of inspiration. The greatest impact you’ll ever make is by inspiring others to do what you are doing – giving back and make a difference. More Information Coming Soon.